K.D. 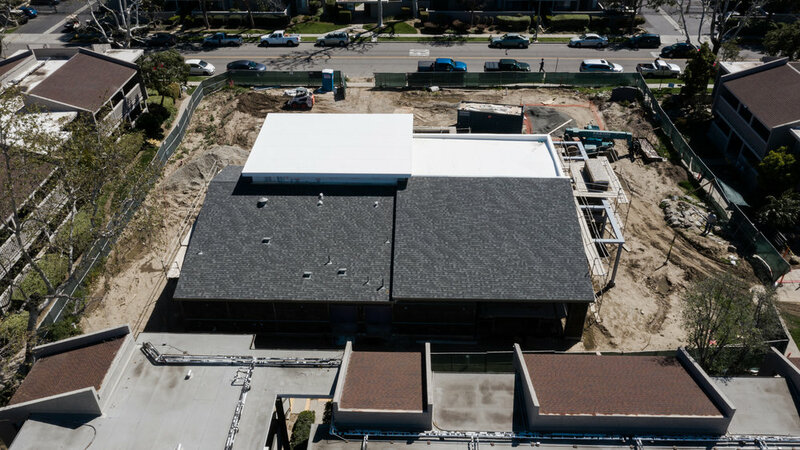 Stahl Construction Axiom Tustin Clubhouse Project Update — K.D. Stahl Construction Group Inc.
Project Update Notes: The exterior framing is complete roof is closed in and we are finally prepping for stucco. The interior plumbing, electrical and mechanical rough in is complete and the drywall is hung and being taped. Skim coat and painting is next for the interior of Axiom Tustin Clubhouse. Alexander Scheflo & Associates, Inc.
Gouvis Engineering Consulting Group, Inc. These tennis courts are the future site of the Axiom Tustin Clubhouse. The building will be a ground up 4,200 square foot single story clubhouse and leasing office with high end finishes. This project also adds a covered patio area with fireplace, a new parking lot and site improvements.